DIRECTV’s DVRs and clients consistently win awards for their energy efficiency, and the company has more Energy-Star-rated products than any other pay-TV provider. They do this by making sure that whenever possible, their devices turn off or go into a standby mode. There are some reasons you might want to disable this. For example, you might be the sort of person who keeps the TV on all day for “noise” and you don’t really watch. 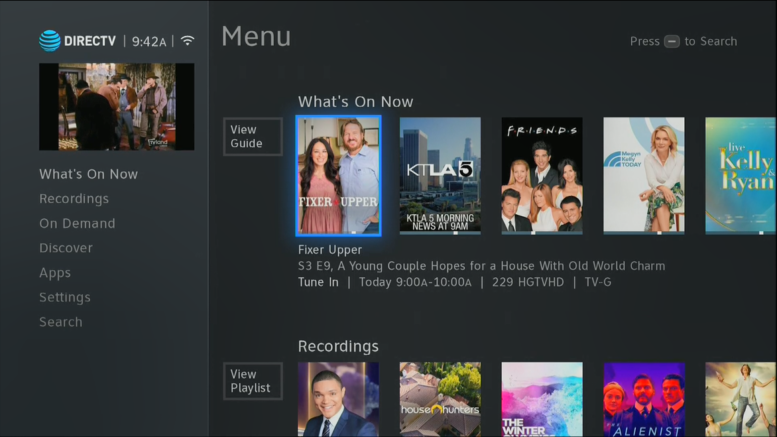 Or, you may want to always keep the DVR buffering the latest programs. Either way, with DIRECTV’s default settings the box will shut off by itself after 4 hours if no one touches a button on the remote. All you need to do is push one button on the remote and it will stay awake, but that might not be possible for you. 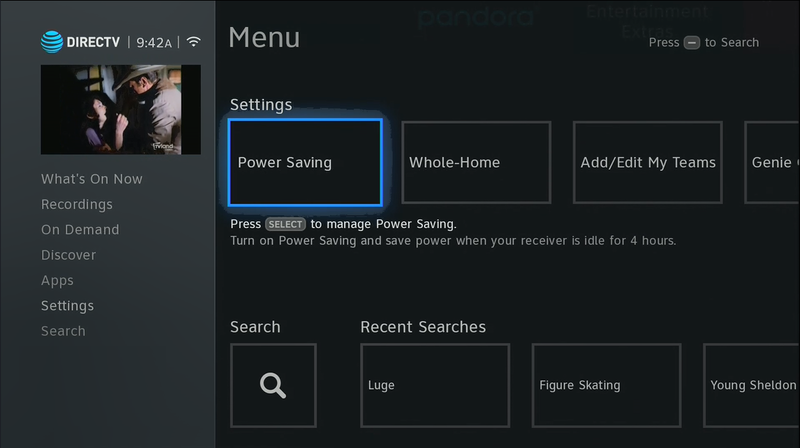 Turning off power saver mode is very easy, even if you have DIRECTV’s new menus that rolled out to Genie DVRs and clients in late 2017. Start by pressing the MENU button and you’ll get the menu screen that you see at the top of the article. 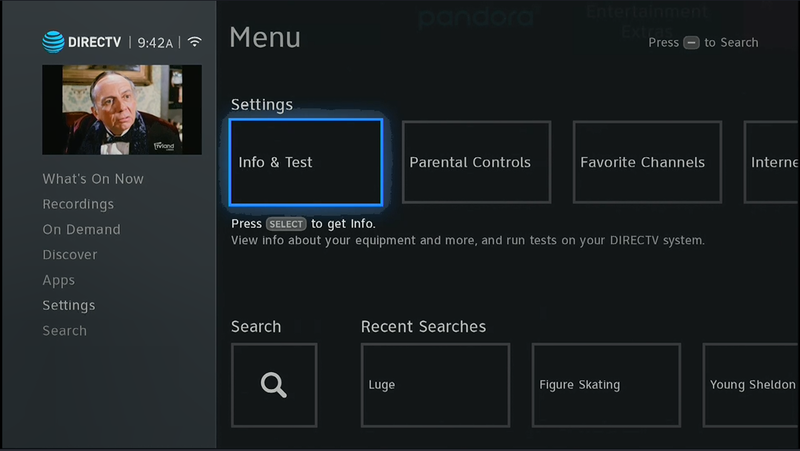 Arrow down to “Settings.” You don’t have to arrow left to the list of menus, but you can. It really doesn’t matter. Arrow over to “Power Saving.” Press the SELECT button. Arrow down so “Power Saving Off” is highlighted. 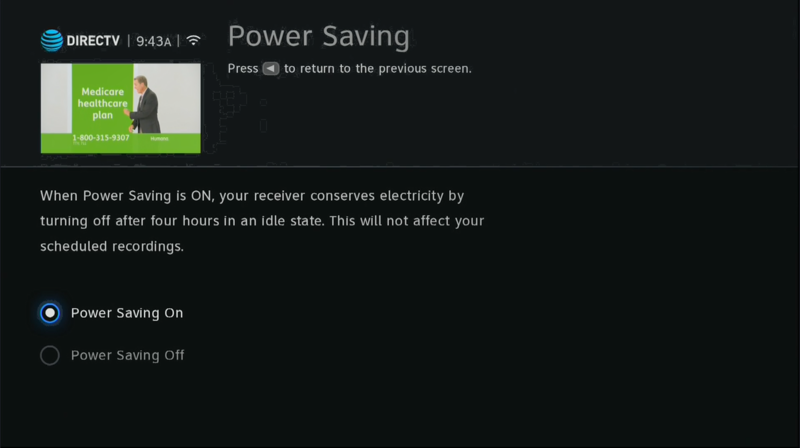 In the image above, “Power Saving On” is highlighted. Then press EXIT to get back to live TV. It’s that simple. In some cases, power saver mode will turn itself back on after a reboot or new software download, but luckily, it’s easy enough to turn it off. The procedure is also very simple if you have an older DVR, just press MENU then go to Settings&Help, Settings, Power Saving. Commercial customers do not have this option because on commercial receivers, power saver mode is off all the time.